Is Stainless Steel the Cheapest Option? 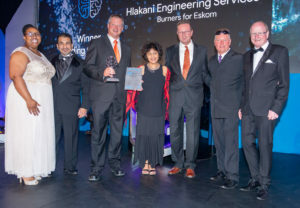 This project involved category winner Hlakani Engineering Services resolving and overcoming substantial tolerance, distortion and welding challenges to support client, Eskom in developing a new burner fabrication standard for its Camden Power Station in Mpumalanga. 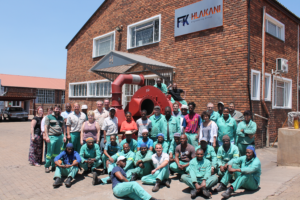 Hlakani Engineering Services faced many challenges throughout the project, including the use of stainless steel 314 for the project, which is known to be difficult to work with and the client’s required tolerances, which were very tight for a welded construction. Welders therefore had to be specifically trained for the stainless steel sections. They were also required to manage cleanliness, low interpass temperatures, sequencing and stop and start placement due to the intricacy of the components. In light of this, each welder was given his own summarised weld procedure specification, together with the consumables, including the consumable batch number. 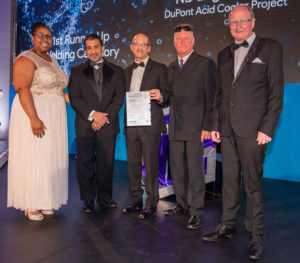 Durban-based ND Engineering was chosen to design and manufacture a replacement Acid cooler, for a large Nickel mine in New Caledonia in France – a project that has proven to be most beneficial from a technological advancement point of view as well as from the business perspective. Acid coolers are subjected to extremely harsh operating conditions given that cooling hot sulphuric acid is always a challenge in any chemical operation. 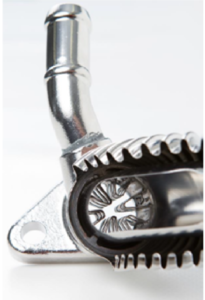 As a result, only specialised stainless steel products can survive these harsh process and operating conditions. There are also only a handful of fabricators in the world who are allowed to build these Acid Coolers for MECS, given the huge risk should the unit fails in service. In addition, these Acid coolers are usually filled after cleaning and drying with a dry inert gas to preserve the internals for the transportation. ND Engineering there had to re-evaluate the pressures and provide calculations confirming that the pressure containment unit will remain perfectly sealed during the multiple changes in altitude. Interestingly, the circumstance surrounding this particular product replacement became so critical that during the final stages of manufacturing, a decision was made to fly this unit to France. 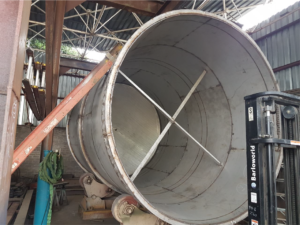 With this unit being air freighted out of Durban, it subsequntly set new records for the Dube Trade Port as well as for a South African product manufactured in stainless steel. This project represented the first time that Roar Construction had fabricated Grade 310 stainless steel. This required putting research into action, resulting in the optimisation of welding speed and procedures. When the company began the project, they faced the challenge that their welding speed was too slow on the 310 grade stainless steel. 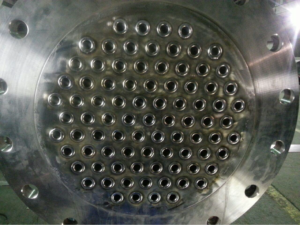 After increasing the speed the process worked well with good weld profiles being achieved. Roar also designed and fabricated extra support to help prevent cracking. Given the massive size of the mixing chamber, the company needed a special permit and a special low bed to transport it. 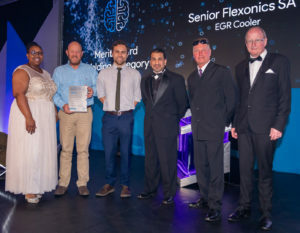 For this stand out entry, Senior Flexonics SA worked with a sister company in Wales to establish a design and manufacturing procedure to produce world class EGR cooler systems. 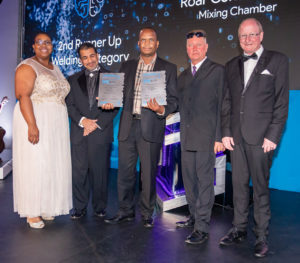 While the product design was mainly done in Wales, Senior Flexonics Cape Town focussed on manufacturing design and the fabrication process. Senior Flexonics SA currently manufactures more than 13 000 EGR coolers per annum, which are all exported to Europe. Proof of the high standard of its manufacturing processes and welding techniques is that it is currently the world leader in co-axial coolers for EGR systems with unique patented designs. 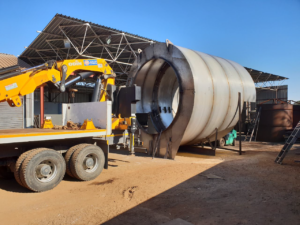 Based on the stipulation by client Omnia that a proudly South African company must be responsible for this project, Roar Construction was tasked with building a 30-ton Reactor for Omnia Delmas. Featuring a 16 row interior steam coil, this build proved once again that local process is now increasingly recognised and valued.